Our condolences on the loss of your dog. The good news is that you have a good chance of finding him/her. The bad news is that you may be looking in all the wrong places. 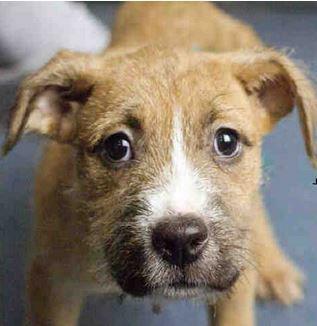 In order to have the best chance of recovering your lost dog, you need to take into consideration why he left, his temperament (or personality), the circumstances surrounding his loss, and the human factor. All dogs are individuals. So what should you be doing and where should you be looking? Why did your dog leave? Opportunistic journey is when a gate or door is accidentally left open. While some dogs will remain in their yards or at their homes, most simply can’t refuse the temptation to explore when presented the opportunity. Although these dogs might not actively attempt to leave, their noses just lead them on a journey that can take them blocks or even miles from home. Blind panic is a situation in which the “flight” instinct (from the hardwired “fight or flight” response to stimuli) kicks in and a dog runs in what we call a blind panic. This can happen for three reasons: xenophobic (skittish) temperament, loud noises (thunder, gunfire), or traumatic incident (involved in car accident, explosion, etc). These dogs are the most difficult to catch since they will travel far, travel fast, and avoid human contact, even with their own family members! How far did your dog go? 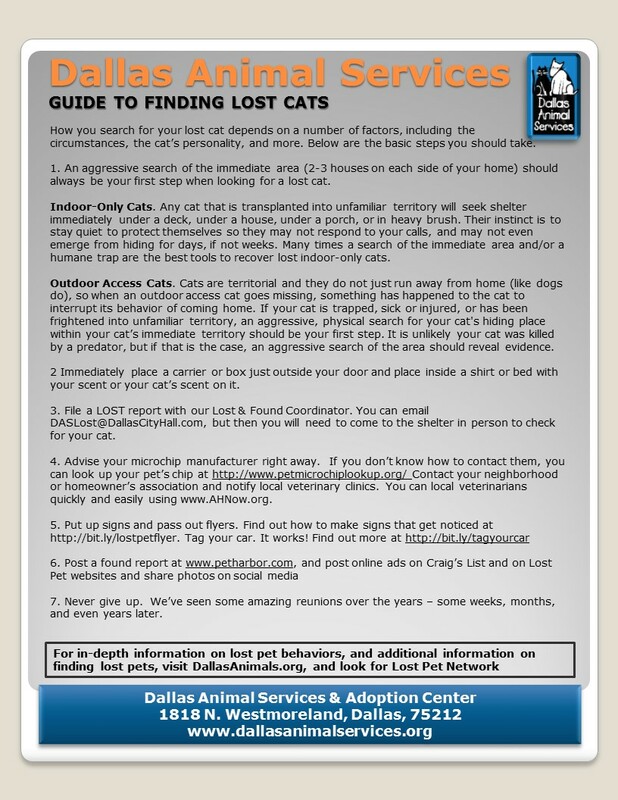 Advice: Flyers, posters and intersection alerts can be valuable tools in finding gregarious dogs. 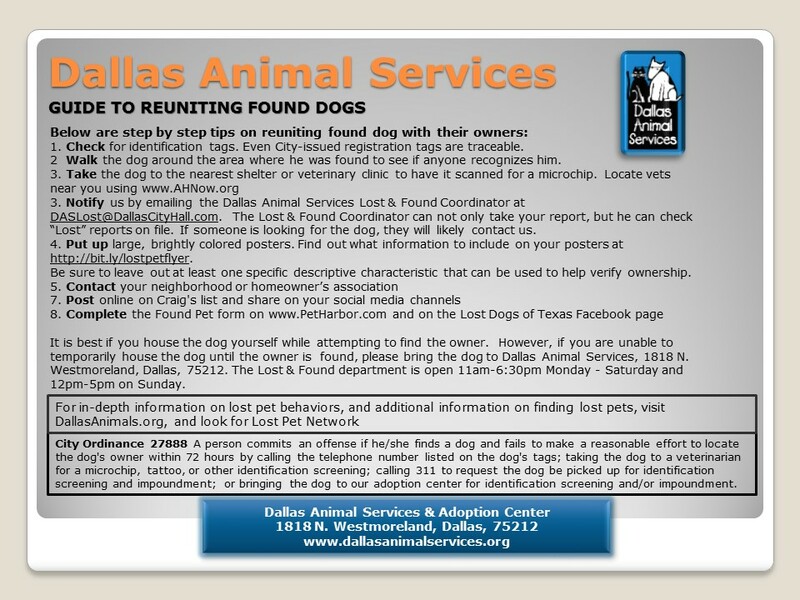 Also be sure to contact all nearby shelters in case someone passing through picked the dog up and took it to a shelter. Advice: Flyers, posters and intersection alerts can be valuable tools when trying to determine the whereabouts of an Aloof Dog. Flyers and posters should include a warning “Do Not Chase. If seen, call ###-#### as soon as possible. 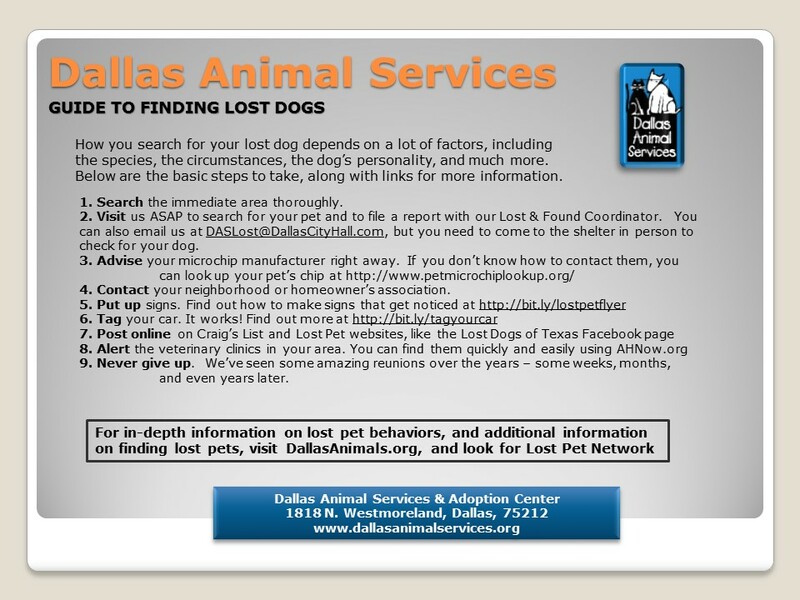 It is imperative that shelters, rescue groups and veterinarians be notified your dog is missing and be patient – it may be a while before your dog is seen. 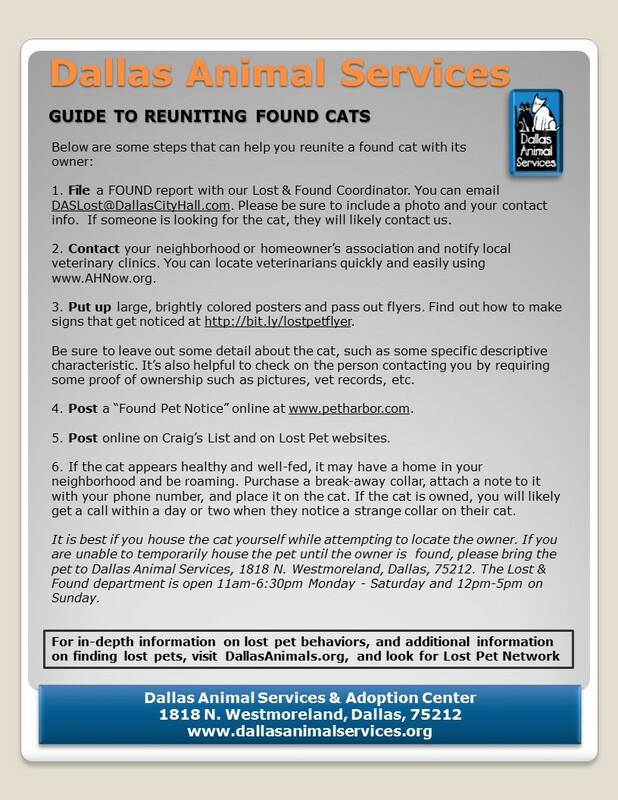 Advice: Flyers and posters an help determine the approximate whereabout of a Fearful Dog, but contacting area shelters and rescue groups is imperative. Be prepared to use a baited trap, wildlife camera and/or another dog to recover your pet. There’s More You Need to Know HERE.